Jul 01: "Paint the Town Red" Free concert at Memorial Park. Cancelled due to extreme heat conditions. 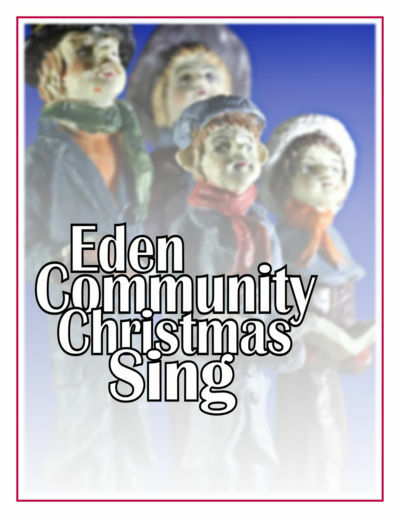 39th Annual community carol sing with performances by Mississauga Pops, Note-ables (choir), and Eden Bells aPeel (handbells). 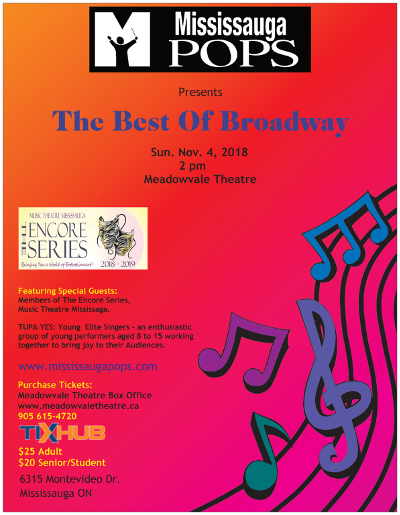 Selections performed by the Mississauga Pops will be listed below. 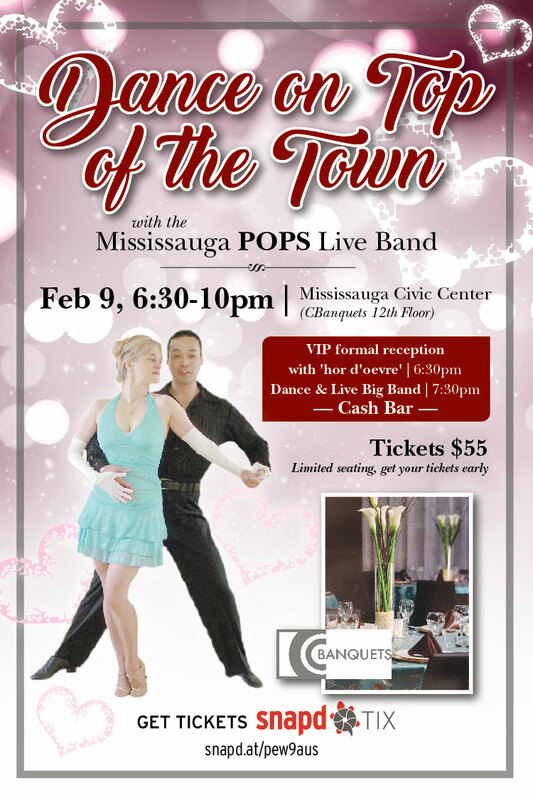 Mississauga Civic Centre (C-Banquets, 12th floor) Back by popular demand! Live dance music with included ballroom dance lessons and reception gala with hors d'oeuvres.